Terrance Guardipee is an internationally acclaimed Blackfeet painter and ledger artist, consistently recognized for the traditional depiction of his Blackfeet heritage and contemporary innovation demonstrated in his work. 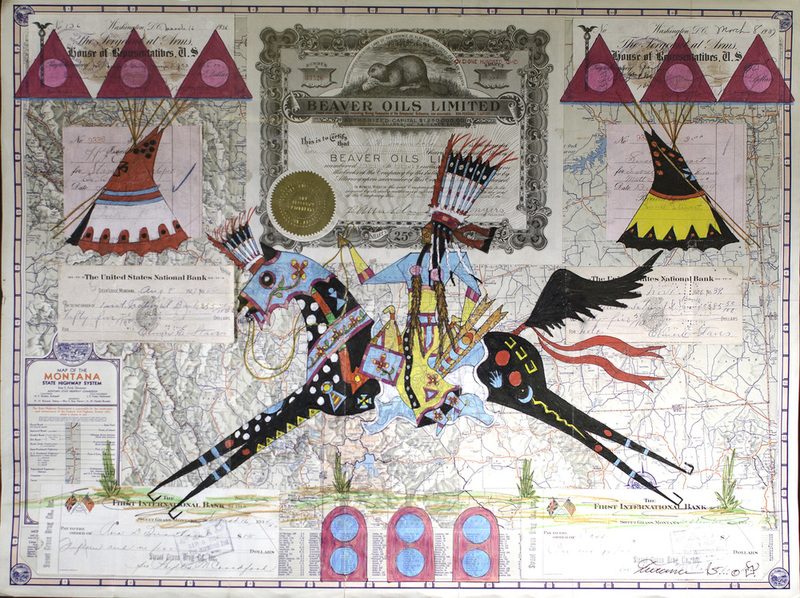 Terrance was one of the first Native artists to revive the historical ledger art tradition, and was the first ledger artist to transform the style from the single page custom into his signature map collage concept.The map collage concept is based in the ledger art style, but incorporates various antique documents such as maps, war rations, checks, in addition to single page ledgers. 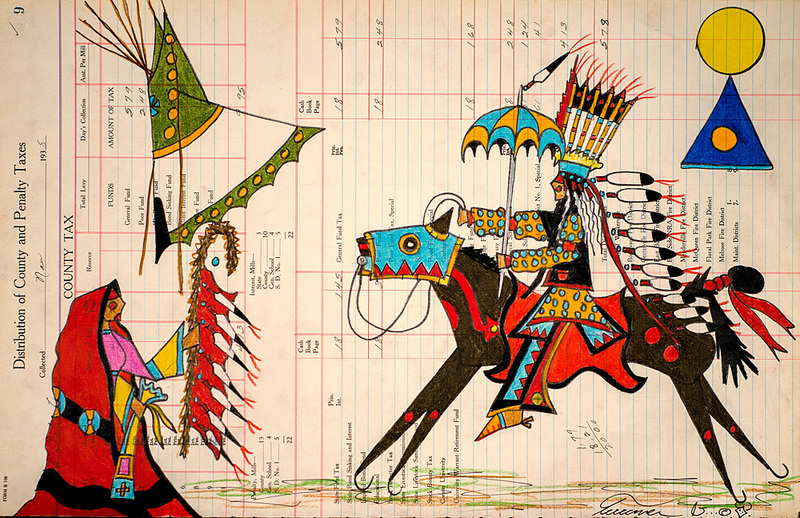 Terrance utilizes antique documents in all of his artwork, dating from the mid­19th century, and typically originating from the historical and present Blackfeet homeland of Montana. 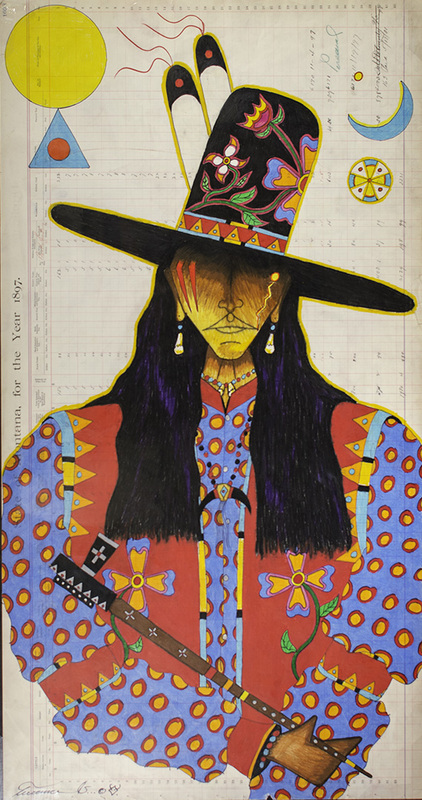 Terrance lived in Montana until he attended the Institute of American Indian Arts located in Santa Fe, New Mexico, where he studied two­dimensional arts. 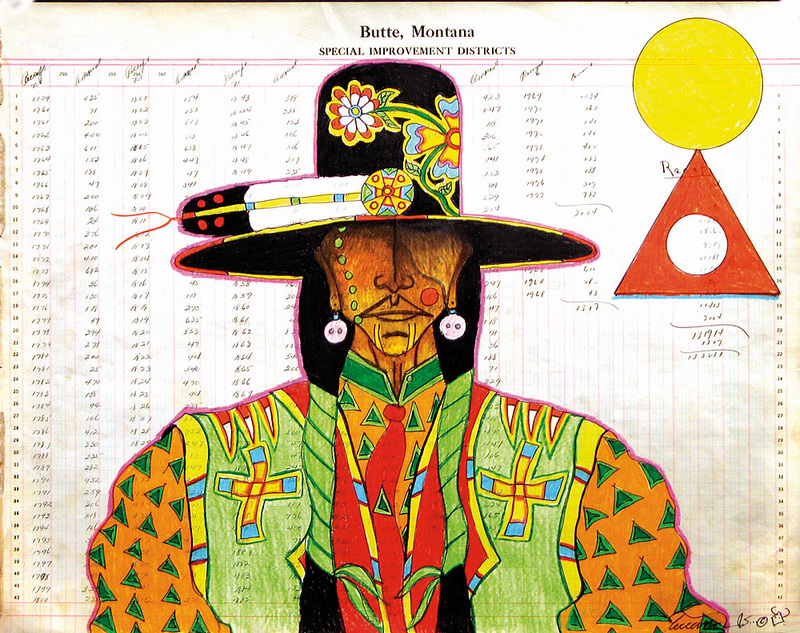 His educational experience at IAIA enabled Terrance to incorporate the contemporary color palate he is known for in a manner that is consistent with Blackfeet tradition. Presently, Terrance resides in Seattle, Washington. Institute, the Gene Autry Museum, the Hood Museum at Dartmouth College, and the Museum of Natural History in Hanover, Germany. Furthermore, Terrance was the featured artist at the National Museum of the American Indian in 2007, and was selected to create an image for The Trail of Painted Ponies at the 2008 50th Anniversary Heard Museum Indian Art Market. In addition, at the 2008 Santa Fe Indian Art Market, Terrance was awarded first place in his category and best of division. 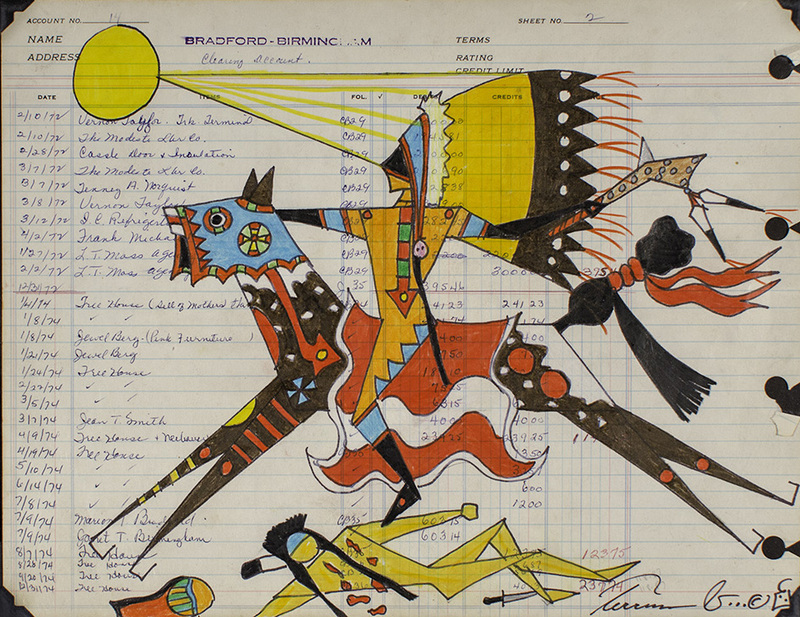 In recognition of the ledger art style, the Santa Fe Indian Art Market has established a category specifically for ledger artists, and Terrance has placed first in this category since its commencement in 2009. 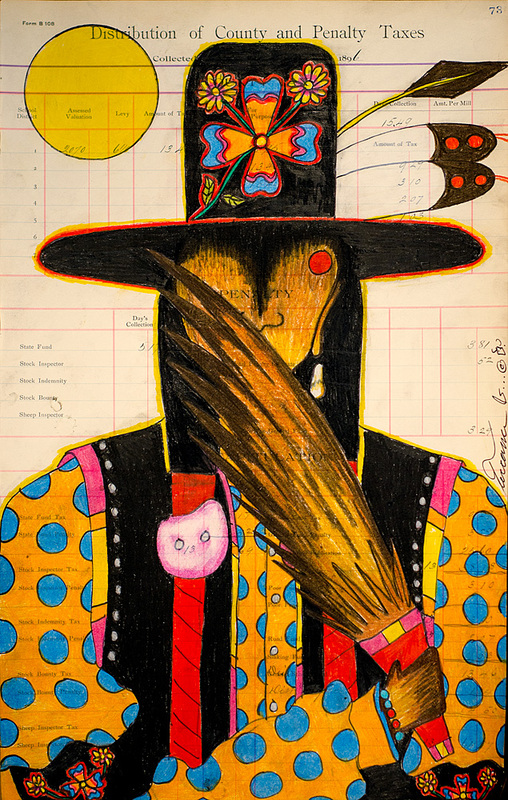 The leading institutions in the Native art community consistently acknowledge Terrance’s innovative incorporation of authentic Blackfeet images into his own contemporary form of art.